When visiting the cosmopolitan city of Calgary in Alberta, take some time out of calf roping or clambering around the Rocky Mountains to check out the city’s world-class shopping scene. Boasting multiple shopping districts and several impressive malls, Calgary is sure to impress with its diverse offerings. Touted as Calgary’s only downtown shopping centre, The Core Shopping Centre (better known as simply CORE) is a multi-faceted building containing four major office towers and 160 retailers on four levels. The property consists of TD Square, the Holt Renfrew building, and the former Calgary Eaton Centre, which have all been amalgamated into one location. The CORE is also famous for its architectural focal point, which is a vast suspended glass skylight that spans the entire length of the complex. Apart from its multitude of retailers and restaurants, the CORE also contains the Devonian Gardens. The gardens are in an indoor urban park full of pathways bathed in natural light that meander past fish ponds, fountains and 10,00 shrubs and 500 trees. Chinook Centre is the largest enclosed shopping area in all of Calgary, Alberta. 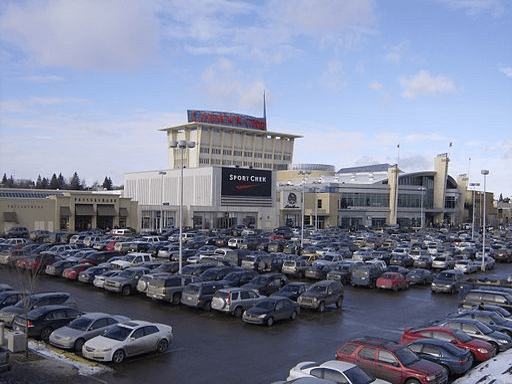 Not only just a mall, Chinook is a major entertainment centre and is home to three major department stores, 250 shops, a 900 seat food court and a large movie theatre offering 16 screens and an IMAX theatre. But it doesn’t stop there! The Chinook centre is a family friendly environment and offers a full-size carousel with 20 carved, wooden horses and a full-scale model of an Albertosaurus, a small cousin of the T-Rex! The Chinook Centre was voted Calgary’s favourite shopping centre and is a popular tourist attraction. It is located at the intersection of Macleod Trail and Glenmore Trail, right smack in the heart of Calgary! 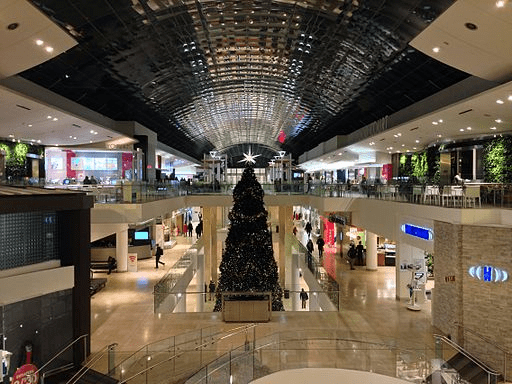 One of the largest malls by area in Calgary, the CF Market Mall is a contemporary and bright space incorporating elements of greenery into its design with living trees. It is located in Varsity, a suburban neighbourhood in the city’s northwest quadrant on Shaganappi Trail and has a one-level, figure eight layout. CF Market Mall has an expansive selection of retailers in several categories, such as jewellery, beauty products, shoes, electronics and cards and stationary. CF Market Mall ranks as one of the top 15 shopping malls in Canada and also offers a supervised children’s play area for busy parents. Crossiron Mills sits a little further outside the city centre, just on the northern edge of the city limits. 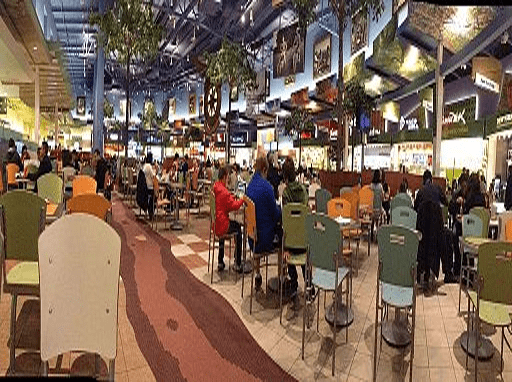 It is one of the newer shopping malls in Calgary and is a popular shopping location for tourists and locals alike. One of Crossiron Mills largest draws are its 100 outlet stores. The popular premium brand outlet format often scene in the United States is recreated here with premium outlets alongside major entertainment elements and food services. Each of Crossiron Mills shopping sections are broken into ‘neighbourhoods’, such as the Fashion Neighbourhood and the Sport Neighbourhood, with differentiating plaques. Popular as a tourist destination, Crossiron Mills offers ‘Stay & Shop’ packages as well as ‘shopping passports’ to out of town guests that offer a multitude of exclusive saving options. 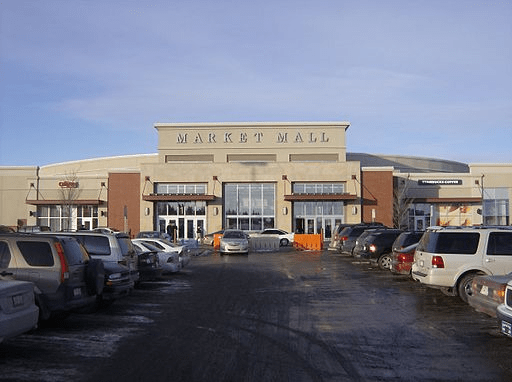 Southcentre Mall is located in Calgary’s southeast quadrant and spans 1,052,107 sq. ft. It contains 190 stores and services and has been open since 1974. The two-level mall is a popular location for charity and community events, such as the CIBC Run for the Cure and hosts popular family events such as their Halloween events aimed at children. 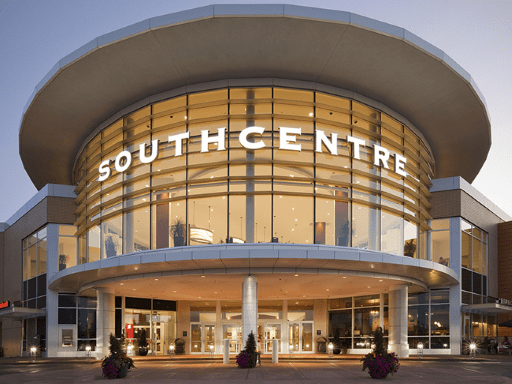 Southcentre Mall offers affordable retailers such as Tip Top Tailors, Dynamite Clothing and Crate & Barrel. Southcentre also offers the free services of a style concierge that will help personalize your style for 90 minutes. It is only one of the only locations to offer private meetings with Santa Claus for children with Autism.